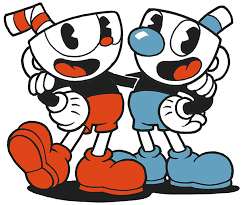 On September 29 2017, StudioMDHR Entertainment released their first long-awaited video game, Cuphead. Cuphead is an indie shoot-em-up video game where the main character, Cuphead, fights a series of bosses in order to repay a debt to the devil. It’s inspired by 1930s video games, so it’s filled with hand drawn animations, watercolor backgrounds, and old jazz music. It’s available on Steam for twenty dollars. “Once I was in a voice call with my friend, and he was getting so frustrated that he said he couldn’t do a voice call while playing Cuphead.” said sophomore Caleb Gao. Video game journalist Dean Takahashi of GamesBeat spent twenty-six minutes just trying to get through the tutorial level and eventually gave up. Abe Korenblum, a senior, says he likes it. “I like it’s unforgiving difficulty that demonizes traditional game journalists.” He also says that he likes its art style, gameplay mechanics, and it’s ‘effortless charm’. Social Studies teacher Mrs. Cohen says she appreciates the art style but doesn’t want to buy the game. “I tend to enjoy games with more of a focus on story and choices than games that challenge reaction time and pattern memorization like Cuphead and Dark Souls,” she said. “Cuphead shows how we have moved into seeing video games as a medium and not a genre.” she added. I decided to buy it, but unfortunately it didn’t live up to the hype. The music is catchy and infectious, but the plot line is corny in my opinion. The genre of video games I enjoy are magical, surreal, complex, and have a gripping storyline and characters. Cuphead fails to meet any of this criteria, mostly because it wasn’t trying. It’s basically similar to some of the addictive arcade phone apps, such as Doodle Jump and Temple Run — it has a strong Temple-Run esque vibe, mostly revolving around running, jumping, and ducking underneath obstacles, collecting coins to buy new gear and weapons, and shooting monsters. This concept which gained a lot of popularity when it first came out but became progressively unoriginal and cliche each time it was copied. I got through the tutorial, but spent approximately twenty minutes trying to get through the first ‘episode’ and ultimately gave up due to lack of motivation.